Plant Physiol. 2011 Feb;155(2):821-34. doi: 10.1104/pp.110.169508. 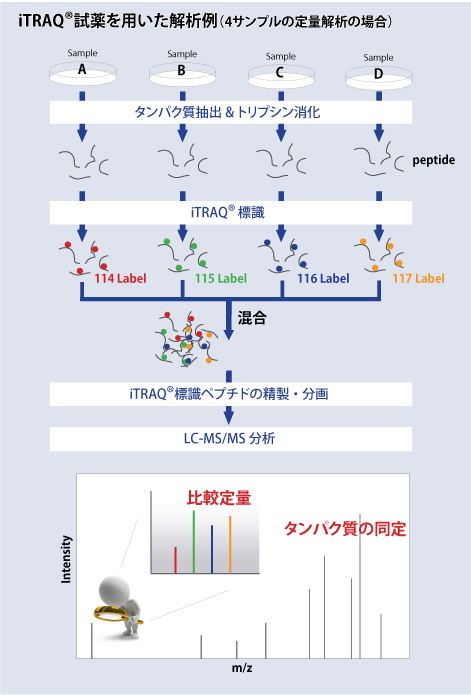 Epub 2010 Dec 20. iTRAQ protein profile analysis of Arabidopsis roots reveals new aspects critical for iron homeostasis. Lan P, Li W, Wen TN, Shiau JY, Wu YC, Lin W, Schmidt W.
J Proteomics. 2013 Aug 26;89:81-94. doi: 10.1016/j.jprot.2013.05.026. Epub 2013 Jun 2. Transcriptomic and iTRAQ proteomic approaches reveal novel short-term hyperosmotic stress responsive proteins in the gill of the Japanese eel (Anguilla japonica). Tse WK, Sun J, Zhang H, Law AY, Yeung BH, Chow SC, Qiu JW, Wong CK.